Digital Summit Philadelphia 2018 is one of Digital Summit series of digital marketing & social media conferences, which introducing great sessions, workshops, researches and analytics in several topics. The Digital Summit is a series of events that held in many cities such as, Texas, Philadelphia, Tampa, Boston, Minneapolis, Washington, Detroit, Chicago, Charlotte, Raleigh and more. It also had launched, in 2018, Digital Summit Chicago 2018, Denver, Dallas, Portland, and more events on its list will be launched. Digital Summit Philadelphia 2018 is a 2-day event where the industry’s leaders will be gathered, in addition, great sessions, workshops, and numbers will be introduced. The conference will take place from 31 July to 1 August 2018 at the Pennsylvania Convention Center, Philadelphia, USA. Identify the full speakers of the conference here. 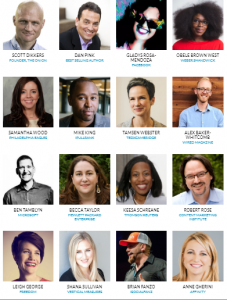 Who should attend Digital Summit Philadelphia 2018? 50+ in-depth sessions & workshops. Get under the hood and stay ahead of the strategic curve with companies like Google, Netflix, DoSomething, Intel, and more! We’re talking hundreds of seasoned marketers, strategists, designers, and more (just like you!) to mingle and connect with. Use us as a lab for team building and max impact on your bottom line. You’ll leave with access to our speakers’ presentation decks. Free wi-fi, open bars, cool event swag, concierge service, exclusive meet & greets, on-site giveaways. 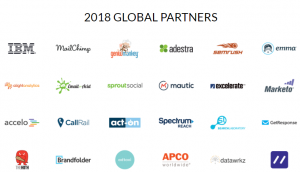 Follow up the Digital Summit Philadelphia 2018 updates here OR discover more Digital Marketing events, conferences & webinars in the USA during 2018 here.